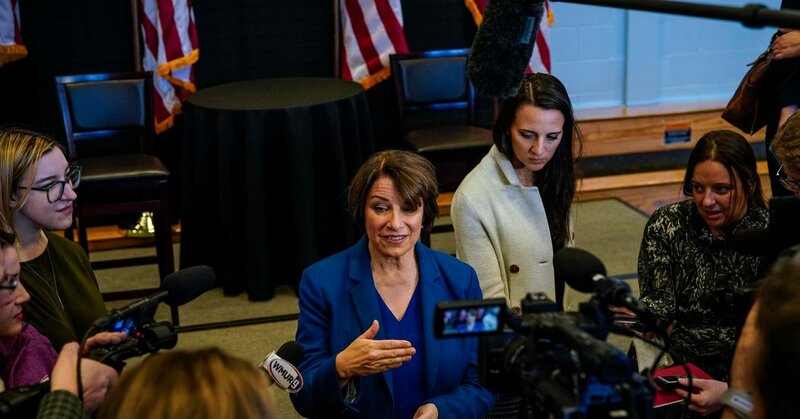 “I tried to kind of delicately bring it up because I think it is the major issue,” Ms. Klobuchar said in an interview after her event. In South Carolina, the one question Beto O’Rourke, the former Texas congressman seeking the Democratic nomination, fielded about the Mueller report came from State Senator Marlon Kimpson, a local Democrat and a host of the event. He asked whether Congress should consider impeaching the president “assuming there’s facts and evidence” that President Trump knew about collusion or coordination with Russians who meddled in the 2016 election. But the fact that Mr. Mueller did not charge any Americans with conspiring with Russia to influence the election immediately buoyed Republicans seeking to lift the cloud of scandal that has surrounded the president for much of his time in office. If they are boilerplate liberal messages, the messenger was received as something special, particularly in Charleston, S.C., where Mr. O’Rourke, at a town hall-style meeting at a local high school and a Friday night event at an area brewpub, drew largely white and well-heeled crowds bursting with excitement.